"First I count Krughor, touched by Savathûn / I boast of Krughor, invincible / Distant Savathûn hid the death of Krughor / inside another curse." 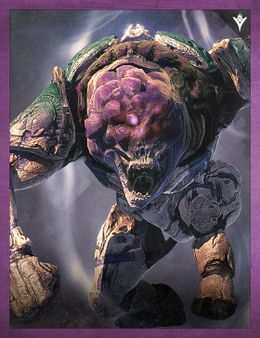 Krughor is a Hive Ogre that appears as a boss in the Court of Oryx. It possesses an invincible shield that can only be depleted by the detonations from Cursed Thrall. In the Books of Sorrow Krughor is called "Kraghoor".